Forty years ago, America was still reeling from the astronomical success of the moon mission and high on the idea that space age innovations would keep happening at a breakneck pace. Well, we got the shuttle, and we got the Mars rover(s). What we did not get, however, were mind-bending super space stations capable of holding entire civilizations inside. But that doesn't mean we weren't thinking about it. Back in the 1970s, a handful of artists drew up intricate renderings of said mind-bending super space stations for NASA. They make the International Space Station look like a flying tin can—which is essentially what it is. 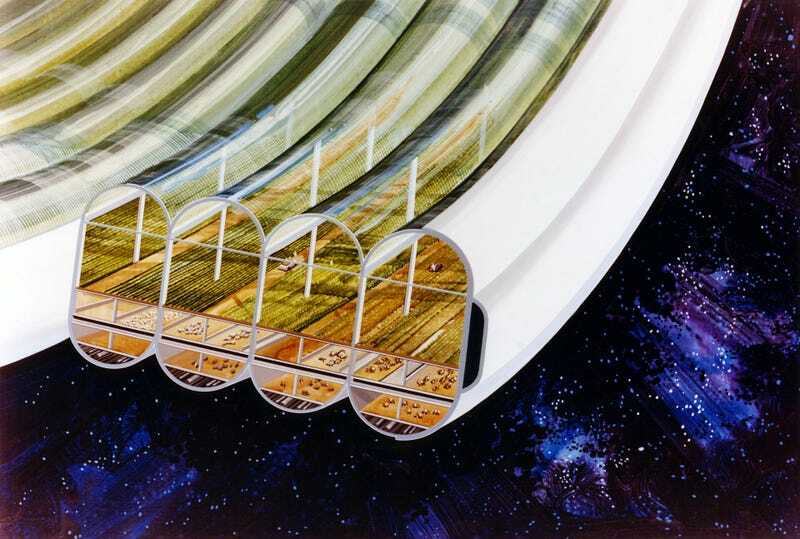 In these concepts, the space stations are big enough not only to support suburban-looking neighborhoods with houses and blonde-haired dudes in polo shirts but also entire farms with livestock and everything.